We design and build all types of swimming pools and water features. We work one on one with all our clients. Remodeling of existing pools, including structural alterations. Is your pool in need of a facelift? Need a re-plaster, new coping, deck or tile? We can also add new features like Baja shelves, spa additions, waterfalls, water slides, salt water conversions, etc. We have over 25 years of pool design and construction experience. Let our expertise put you at ease while we build your dream pool. Whether you know exactly what you want, or you need guidance in designing your dream swimming pool or spa, we are available to work with you from beginning to end. Founded in 1990 Fletcher Pools is a licensed swimming pool and spa construction company, in business for twenty five years, serving the San Fernando valley and surrounding areas. 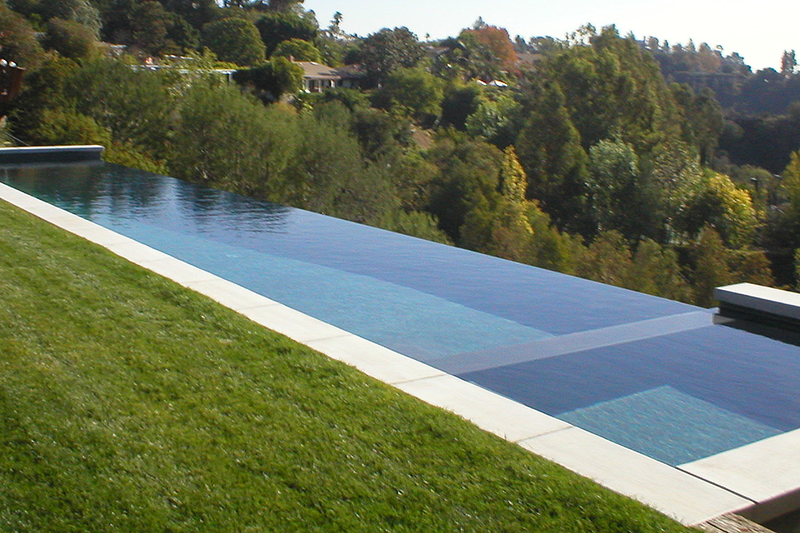 We build beautiful and functional pools of all sizes and styles, in all types of terrain.